As the internet becomes more and more crowded with a lot of businesses, you need killer contents that would help you to improve and grow your business online. You need an epic SEO content that would help drive the right traffic to your website and make customers take action. I’ll like to help you! If you’re a small business owner, SEO agency or web designer chances are that you are busy running your business operations. You and your team are focused on running the day-to-day operations of your business. And that is all right! Why worry yourself researching, analyzing creating, editing and writing contents for your business. I can help you create that killer and epic content to grow your business at the most affordable price possible. I am not one of those writers who doesn’t practice what they preach! Most of the articles on my blog have ranked No# 1 on Google for many times. And I just want to do the same for you! 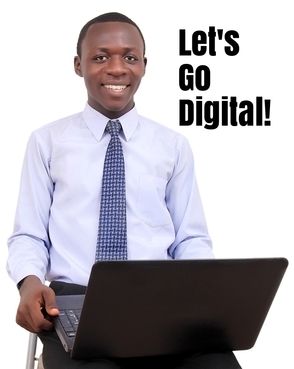 I am Francis Sabutey, an SEO copywriter, top-notch blogger, and social media strategist. I have a strong passion for business and marketing content creation with 3+ years of professional experience in research evaluation, conversational article writing, search engine optimization (SEO) and social media strategy. My digital marketing & business blog, www.expandgh.com is one of the best in the industry, ranking on the first page of Google for many industry related keywords. The blog has received global recognition and has become a great source of education, insight, and knowledge for many businesses and professionals throughout the world. I have also received several awards and featured in many places due to my work on the blog. In just this year alone, I have created over 2,000 articles for many businesses in the U.S.A. I am also a published author with two books. Please, you can check on my blog at expandgh.com to learn more about my writing portfolio, writing style, and content writing experience. I am expert in creating SEO rich blog posts, SEO web contents, SEO guest pots, landing pages, newsletters, eBooks, press releases, industry articles and much more. I write on various areas such as business, education, home, IT, leadership, security, health, lifestyle, marketing, accounting, road safety and much more. I am an ardent, rigorous and responsible researcher dedicated to excellence in what I do. I have a strong knowledge of research methodologies as well as the ability to plan, organize, manage, evaluate research studies and excellently create high-quality contents in the most professional manner possible on schedule. I trust to bring the same excellence, dedication, and commitment to all your projects. I will carry out all your writing projects with accuracy, efficiency, dedication, excellence, and elegance. I offer you 100% original and well-written content to promote your business. I study and understand your audience and tailor the content for the consumption of your target market. I provide 100% plagiarism free articles, web contents and blogs to promote your business and improve your website rankings. I research and ensure that your content is well written. I have years of experience in writing web contents, SEO articles, press releases, business/product descriptions etc. I ensure that all your content is well reviewed, edited and proofread so that you can have contents that are bereft grammatical, expressional, and presentational errors. I can handle SEO copywriting assignments on a weekly or monthly basis as per your requirements with fast turn-around. So get in touch for affordable SEO articles today! Whether you are a blogger, web designer, SEO agency, I can help you with all your SEO copywriting. You’d be really shocked about the quality of work that you would get. Over the years, I have refined the content writing process and developed a system of getting the job done right. You can trust your content is in the right hands and the job is going to be done well. Outsource all your content writing services to me. Please, let me help you to get the job done right. The following are some of the areas that I can help with your content writing services. Please get in touch today with all your web and SEO copywriting needs. No matter the size of the project, I have the expertise to deliver. Cheers! And Keep Moving Forward! You can also get in touch by filling the form below. Thanks a million. We'll Get Back To You Soon!! !